Several people were detained because of intoxication, perhaps drinking away their sorrows over the Jets two game losing streak, and were sent to the Main Street Project. 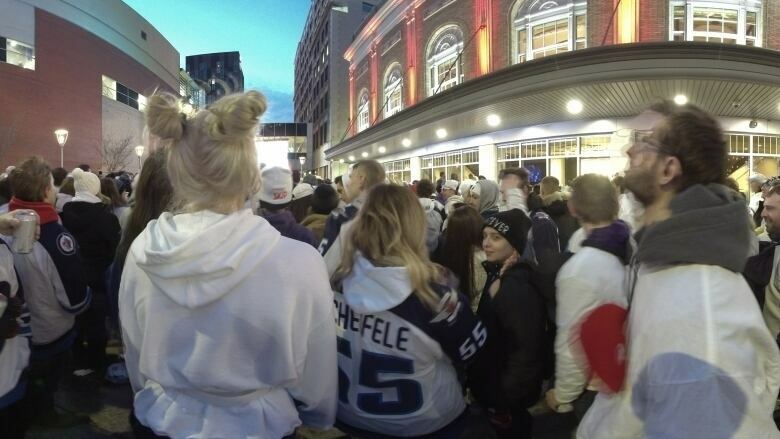 Rowdy Winnipeg Jets fans at the Whiteout street party kept police officers busy Friday night. Several people were detained because of intoxication, perhaps drinking away their sorrows over the Jets' two-game losing streak, and were sent to the Main Street Project. At least two people were detained after a fight broke out in front of Bell MTS Place, a Winnipeg Police Service spokesperson said. While no serious injuries were reported, a city spokesperson said one person was taken to hospital with what they called "a general medical complaint" and another patient was handed over to cadets due to intoxication. The Winnipeg Fire Paramedic Service dealt with three other patients with medical concerns at the Whiteout party, according to the spokesperson, but all three refused to be taken to hospital. The city says WFPS has response plans in place for all Whiteout parties, which include the assignment of dedicated equipment like the major incident response vehicle, a paramedic unit, fire apparatus as well as personnel. Overall, police say the party was managed well in terms of security. The St. Louis Blues lead the best-of-seven matchup against the Jets 2-0 and host Game 3 on Sunday and Game 4 on Tuesday.